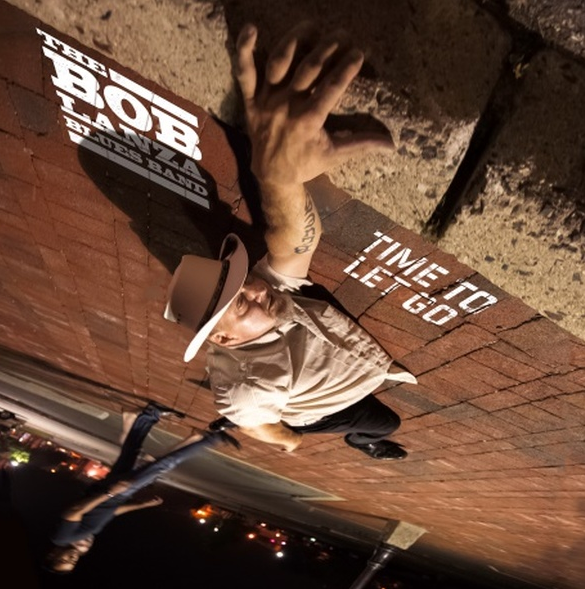 Produced by Bob Lanza and recorded at Skylab Recording studio in Roosevelt, New Jersey, Time to Let Go is Bob’s fourth album release. Its 11 tracks, a mix of soulful originals and cool covers, showcase Bob’s powerful blues guitar work and sinewy vocals. “This album comes at a time when I've had a lot of loss in my life,” confesses Lanza. “My mother and brother both passed away while I was recording this CD. It’s a tribute to them, and a suggestion to all of the families that go through difficult times; you gotta let ‘em go and continue life. Joining Bob on the album are his regular touring band members, plus The Cranberry Lake Horns and several special guests, including Steve Krase on harmonica. The circumstances that occurred during the recording of Time to Let Go fueled an extra level of expression of visceral feeling from Lanza, which manifested itself in both his guitar playing and singing. “My guitar is raw, powerful and very emotional on these tracks,” he admits. Born and raised in the wilds of northern New Jersey, Bob Lanza took advantage of his proximity to New York City to learn from the great Johnny “Clyde” Copeland and Floyd Phillips. Their influences can be heard in the passion embedded in all of Lanza’s music. More recently, Bob Lanza has provided support for Trudy Lynn and James Cotton on their East Coast appearances.